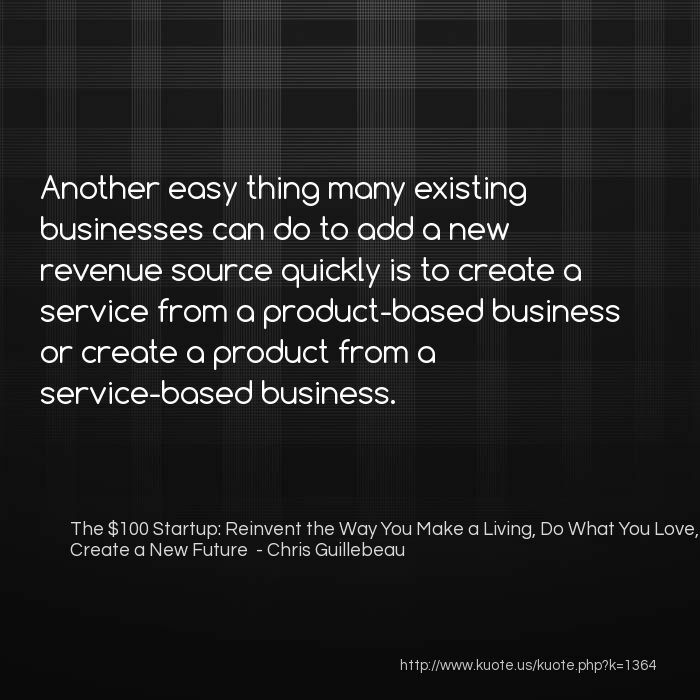 Another easy thing many existing businesses can do to add a new revenue source quickly is to create a service from a product-based business or create a product from a service-based business. 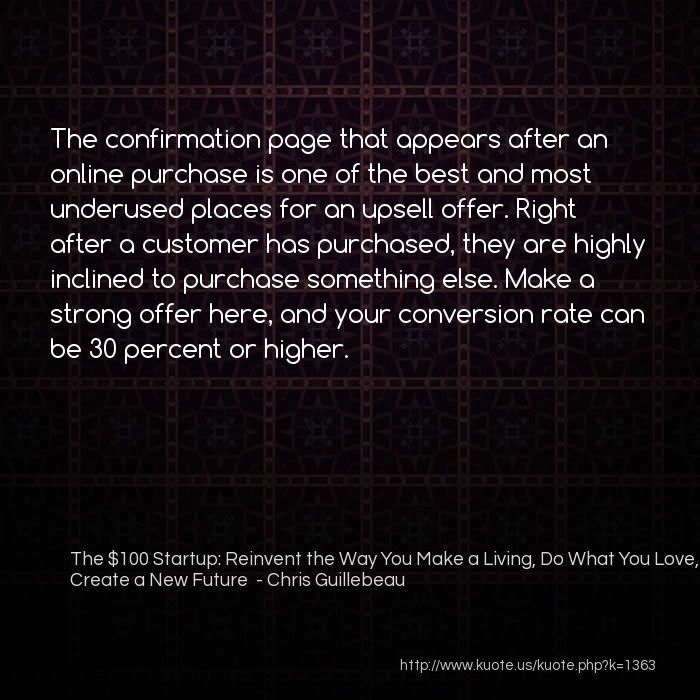 The confirmation page that appears after an online purchase is one of the best and most underused places for an upsell offer. Right after a customer has purchased, they are highly inclined to purchase something else. 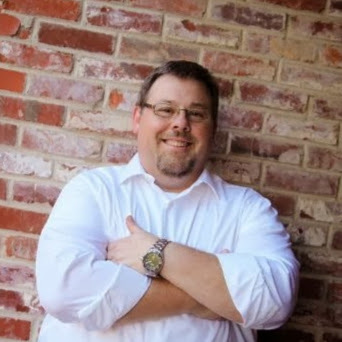 Make a strong offer here, and your conversion rate can be 30 percent or higher. SELL MORE TO EXISTING CUSTOMERS. 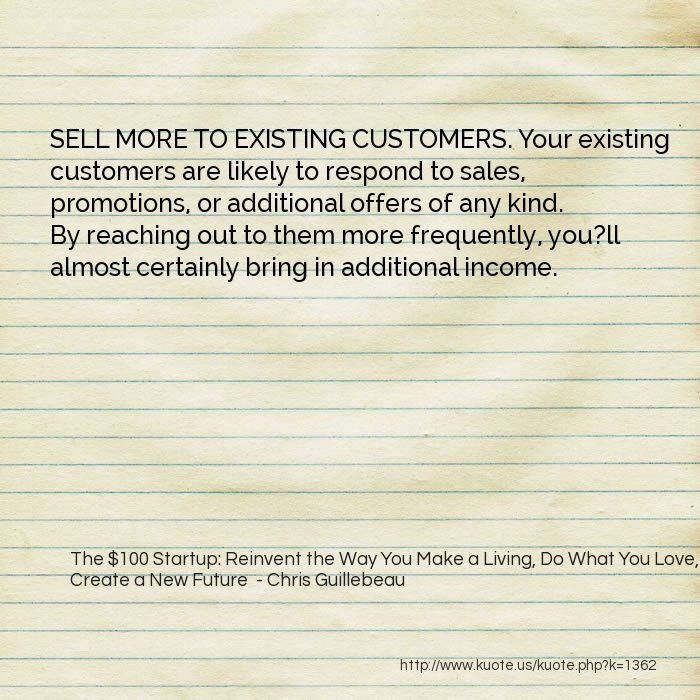 Your existing customers are likely to respond to sales, promotions, or additional offers of any kind. By reaching out to them more frequently, you?ll almost certainly bring in additional income. 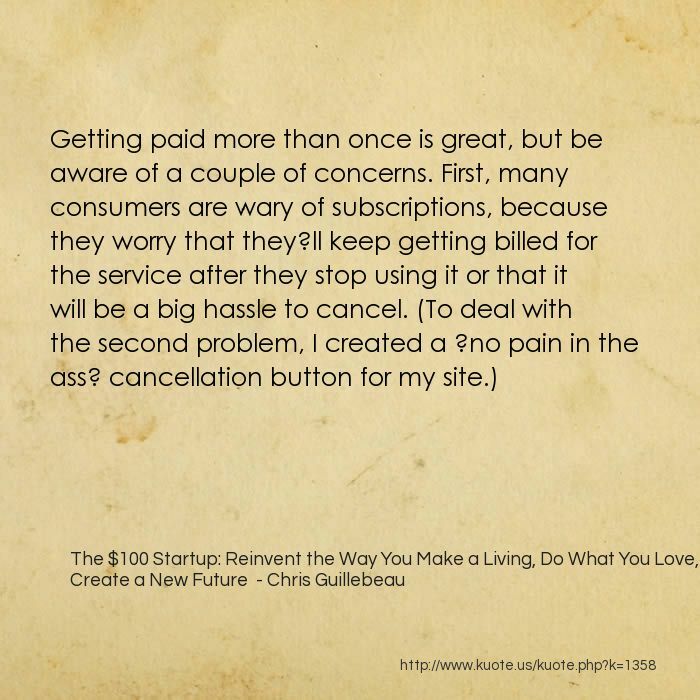 INCREASE CONVERSION. 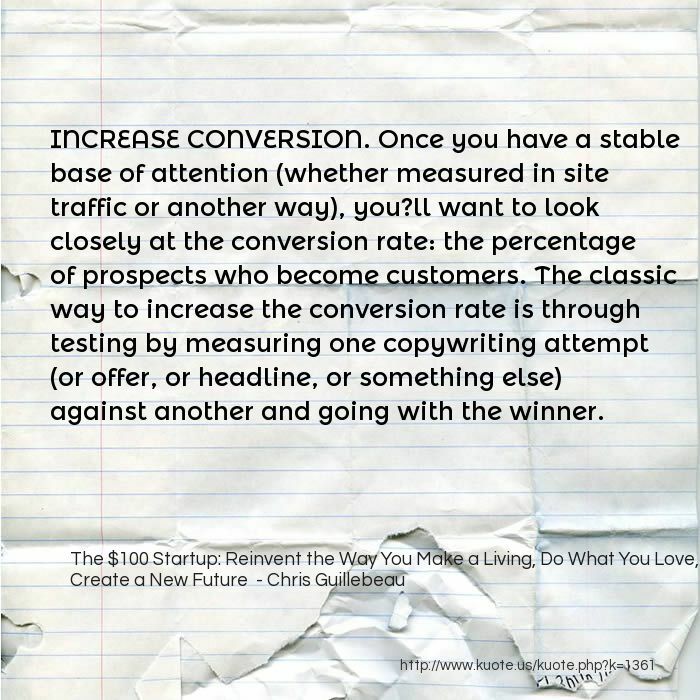 Once you have a stable base of attention (whether measured in site traffic or another way), you?ll want to look closely at the conversion rate: the percentage of prospects who become customers. The classic way to increase the conversion rate is through testing by measuring one copywriting attempt (or offer, or headline, or something else) against another and going with the winner. 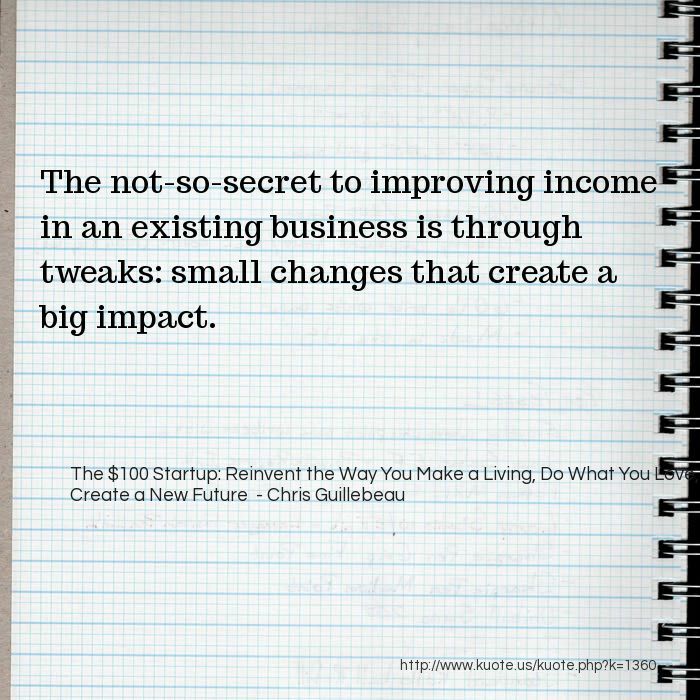 The not-so-secret to improving income in an existing business is through tweaks: small changes that create a big impact. The most important thing Brian says here is in the last paragraph: ?It?s not market share; it?s share of the customer.? 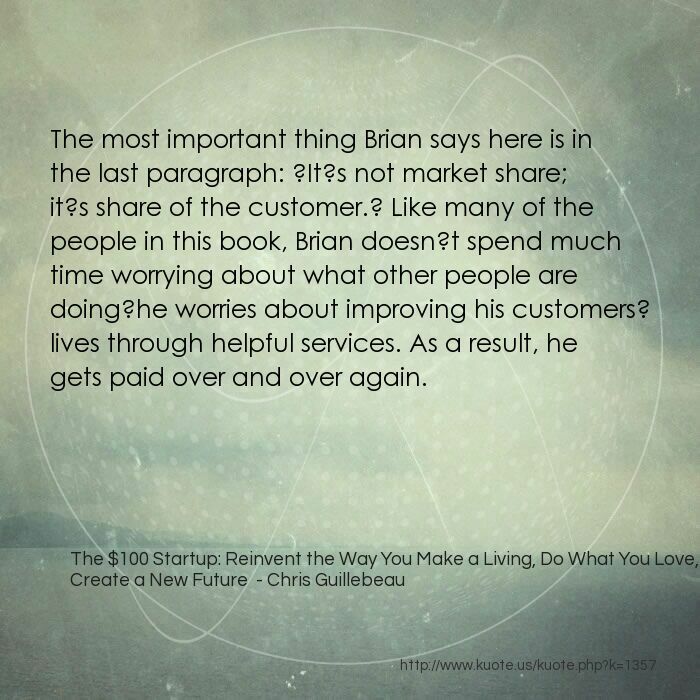 Like many of the people in this book, Brian doesn?t spend much time worrying about what other people are doing?he worries about improving his customers? lives through helpful services. As a result, he gets paid over and over again. 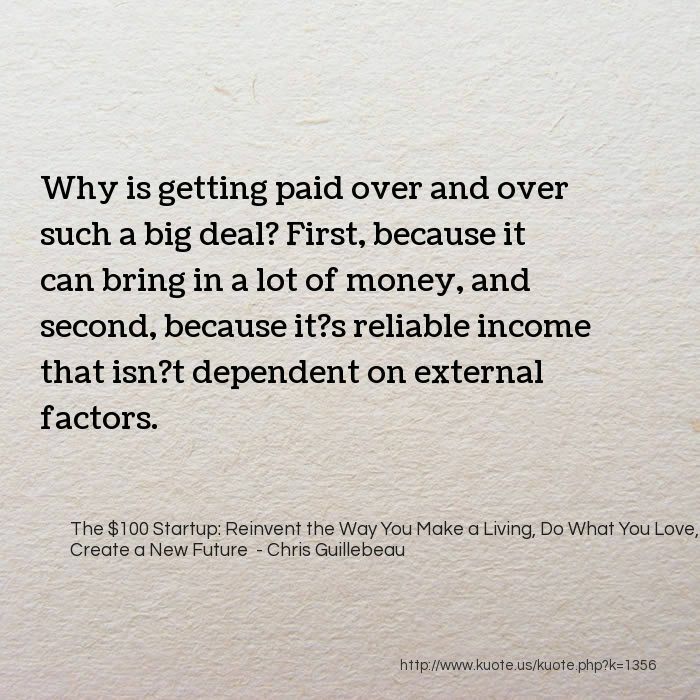 Why is getting paid over and over such a big deal? 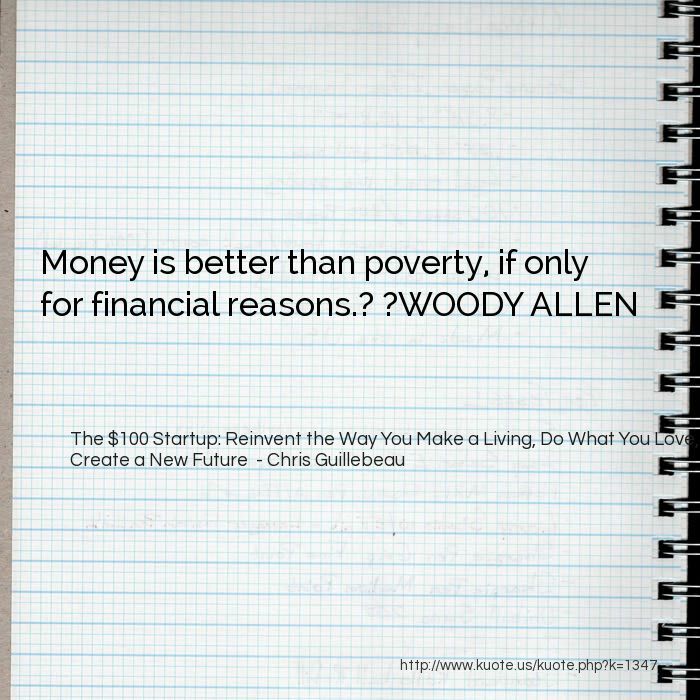 First, because it can bring in a lot of money, and second, because it?s reliable income that isn?t dependent on external factors. The key to this strategy is to offer a limited range of prices: not so many as to create confusion but enough to provide buyers with a legitimate choice. 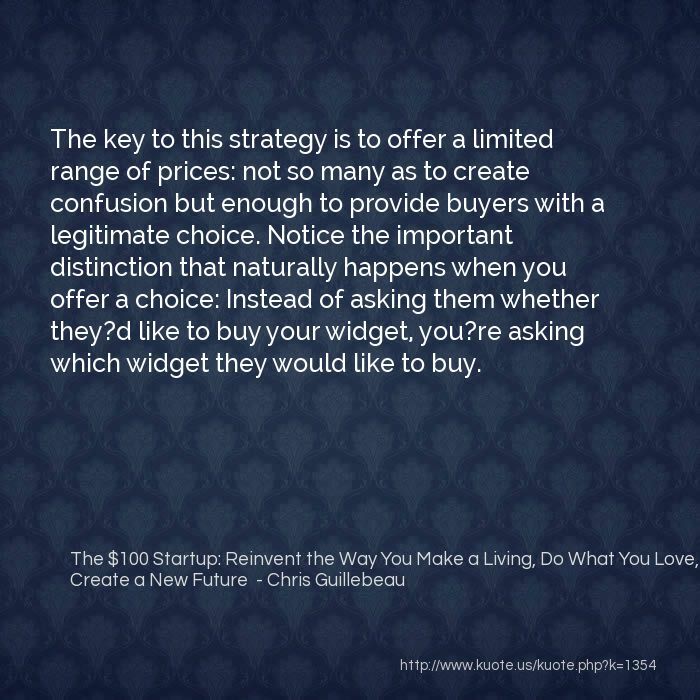 Notice the important distinction that naturally happens when you offer a choice: Instead of asking them whether they?d like to buy your widget, you?re asking which widget they would like to buy. 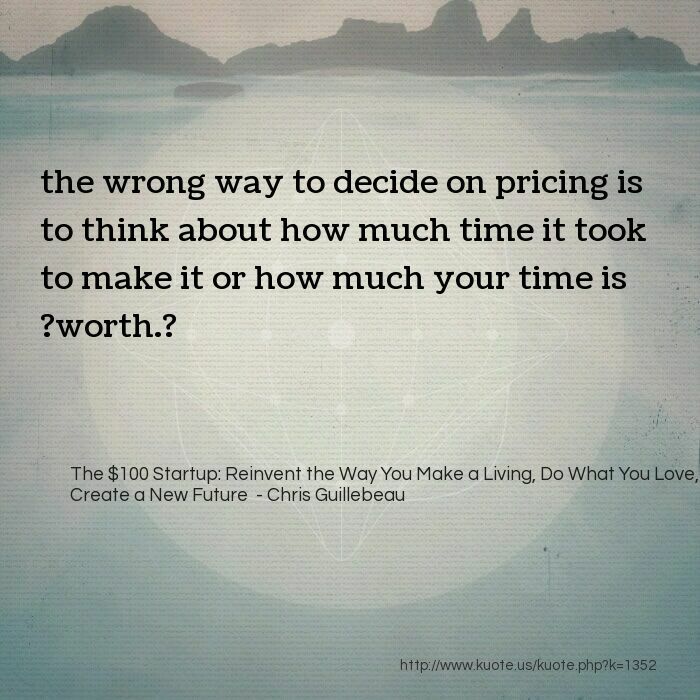 the wrong way to decide on pricing is to think about how much time it took to make it or how much your time is ?worth.? 1. 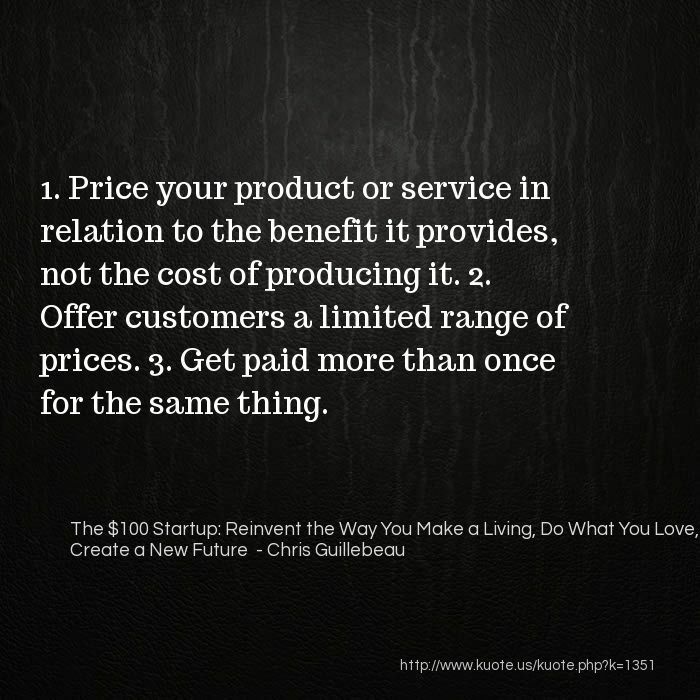 Price your product or service in relation to the benefit it provides, not the cost of producing it. 2. 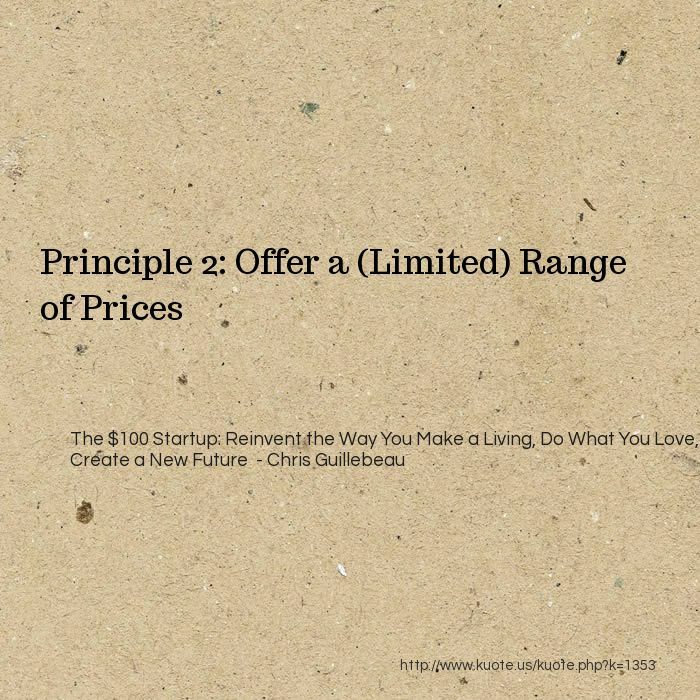 Offer customers a limited range of prices. 3. 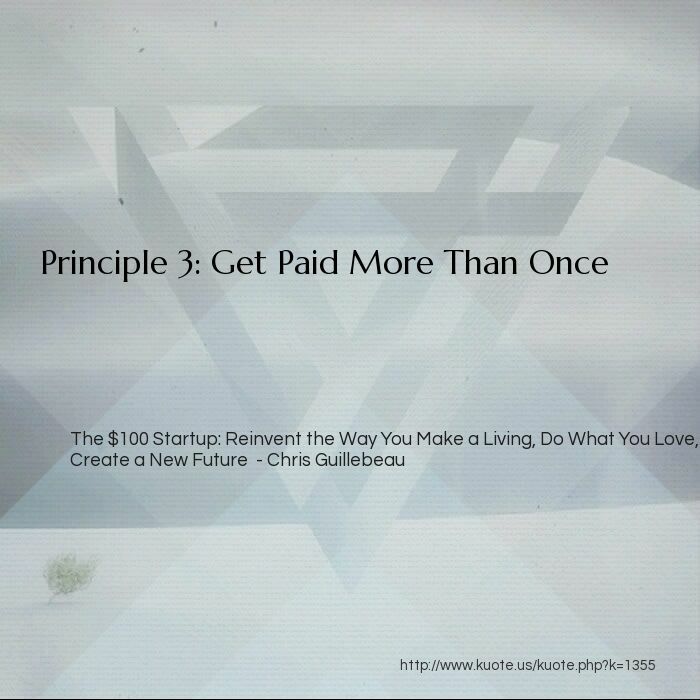 Get paid more than once for the same thing. 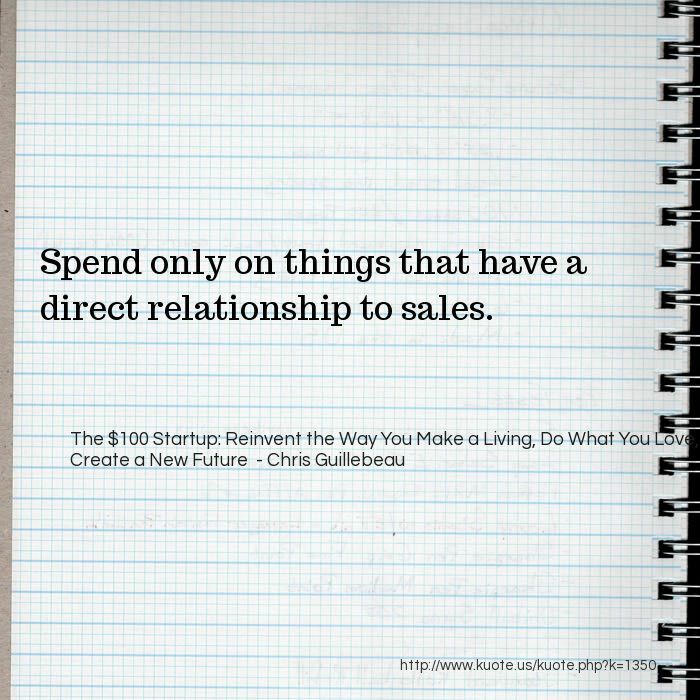 Spend only on things that have a direct relationship to sales. 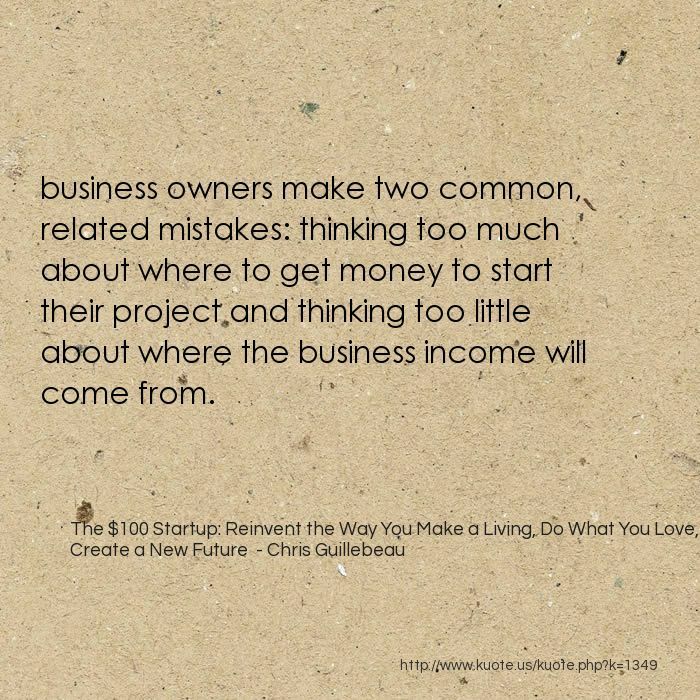 business owners make two common, related mistakes: thinking too much about where to get money to start their project and thinking too little about where the business income will come from. 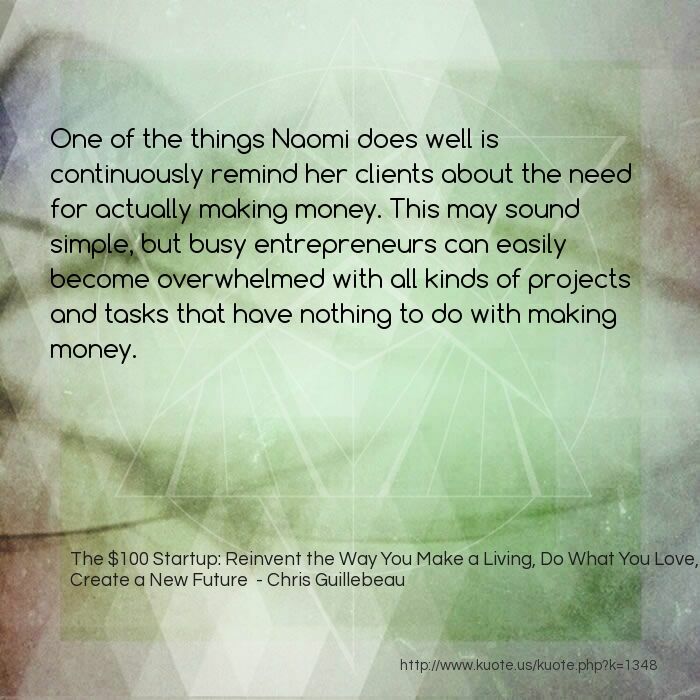 One of the things Naomi does well is continuously remind her clients about the need for actually making money. 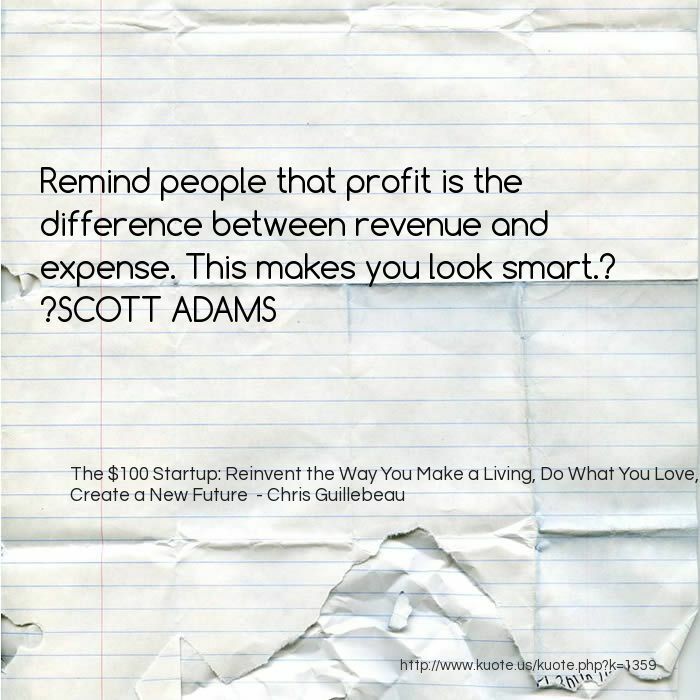 This may sound simple, but busy entrepreneurs can easily become overwhelmed with all kinds of projects and tasks that have nothing to do with making money. 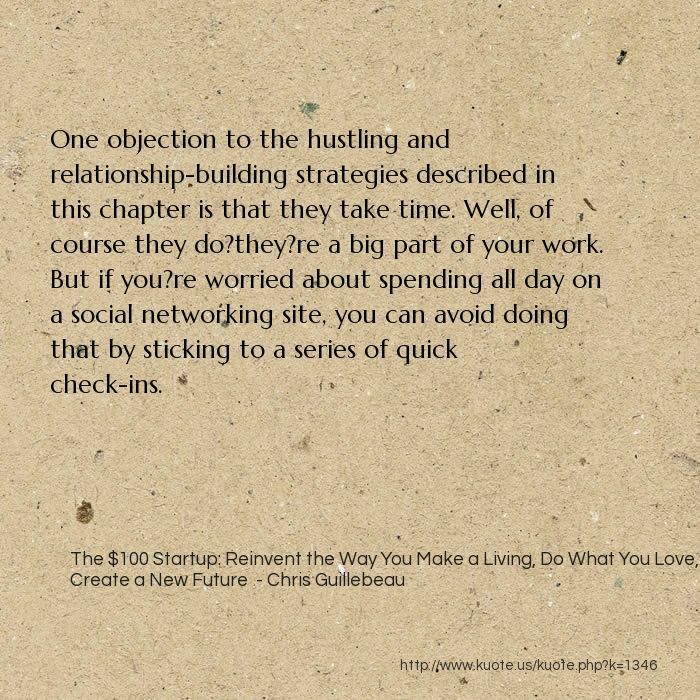 One objection to the hustling and relationship-building strategies described in this chapter is that they take time. Well, of course they do?they?re a big part of your work. But if you?re worried about spending all day on a social networking site, you can avoid doing that by sticking to a series of quick check-ins. 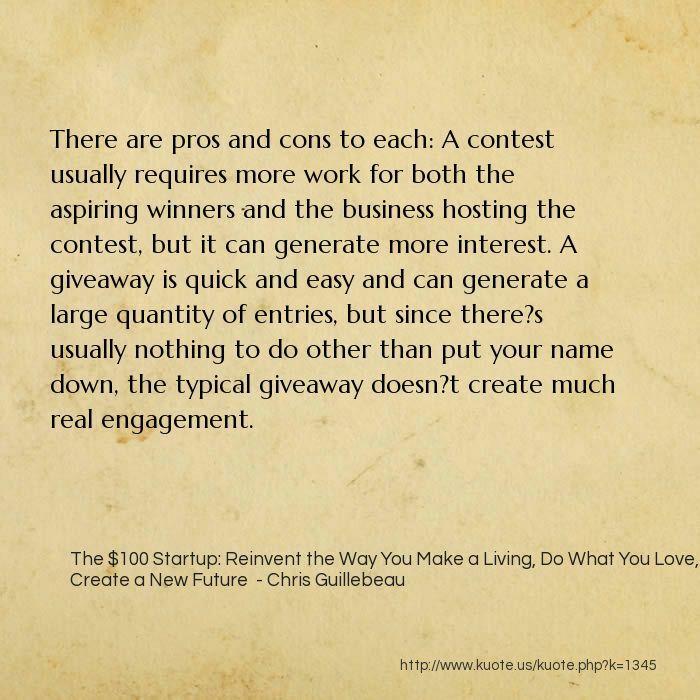 There are pros and cons to each: A contest usually requires more work for both the aspiring winners and the business hosting the contest, but it can generate more interest. A giveaway is quick and easy and can generate a large quantity of entries, but since there?s usually nothing to do other than put your name down, the typical giveaway doesn?t create much real engagement.